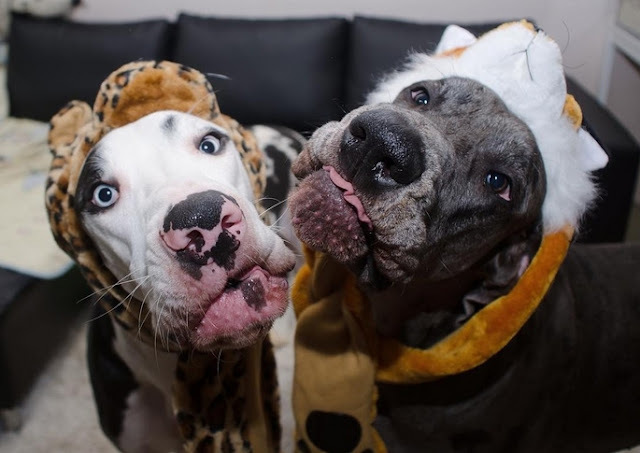 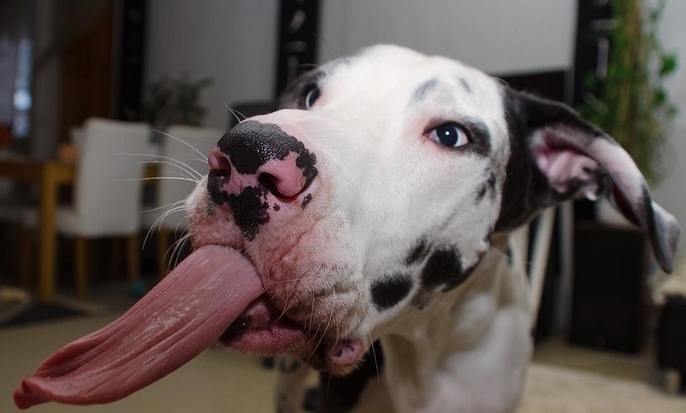 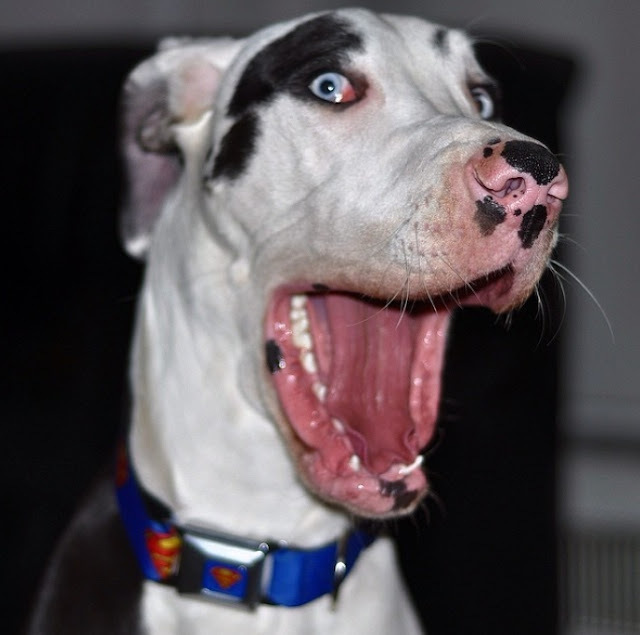 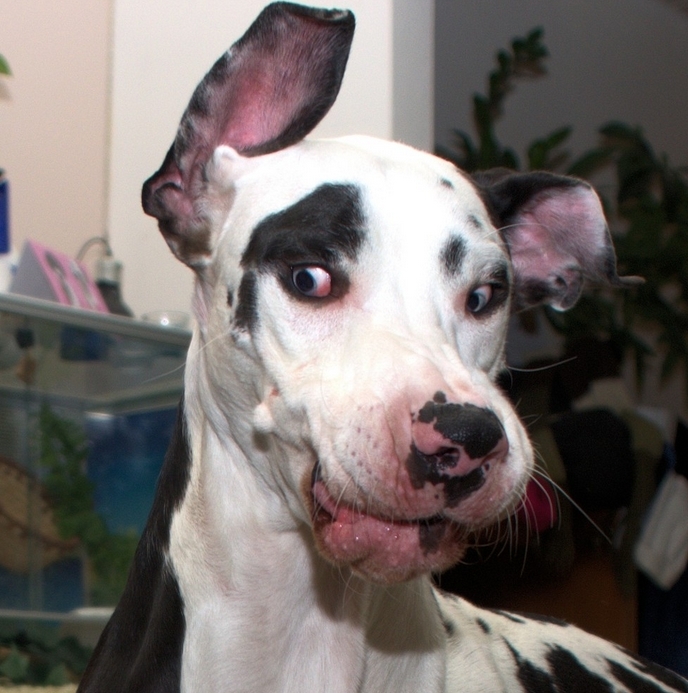 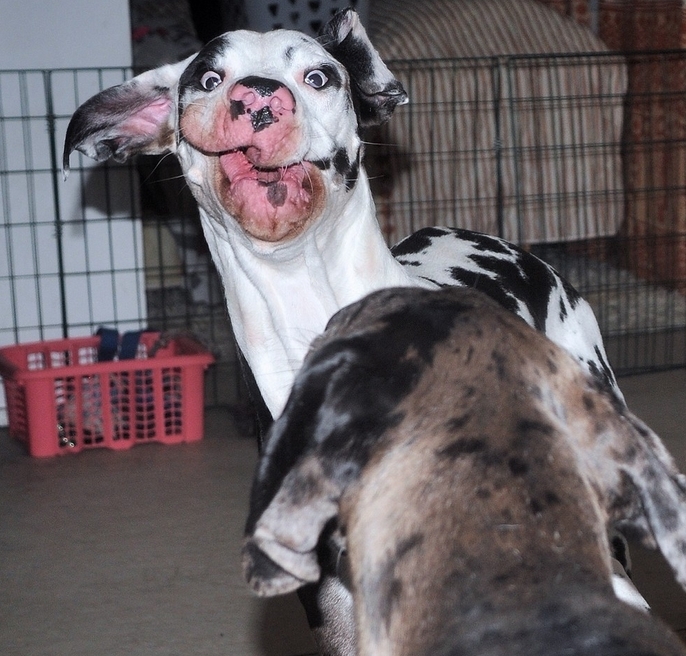 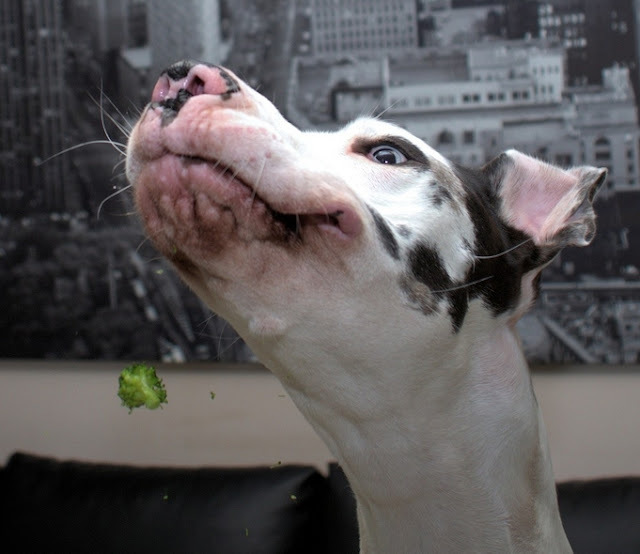 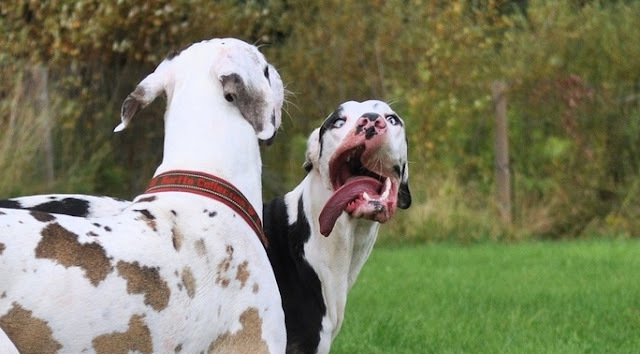 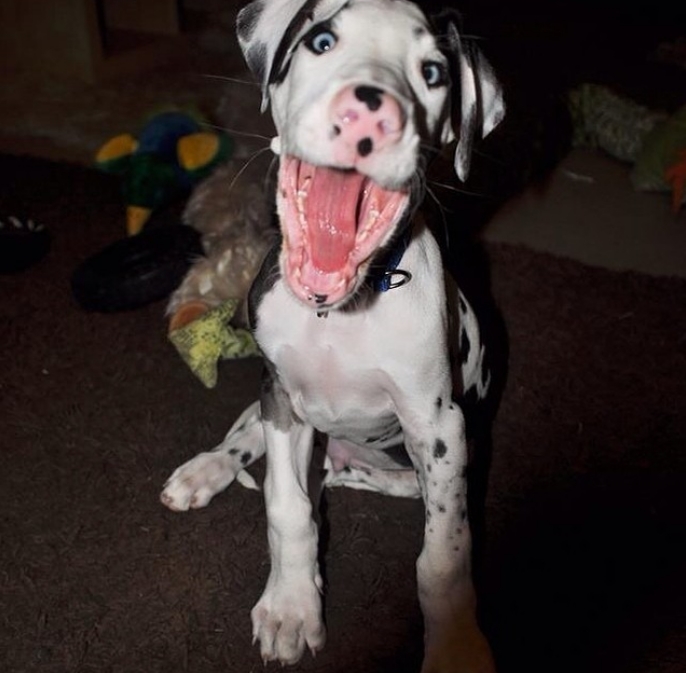 These hilarious pictures show the loveable Great Dane who likes nothing more than gurning in front of the camera. 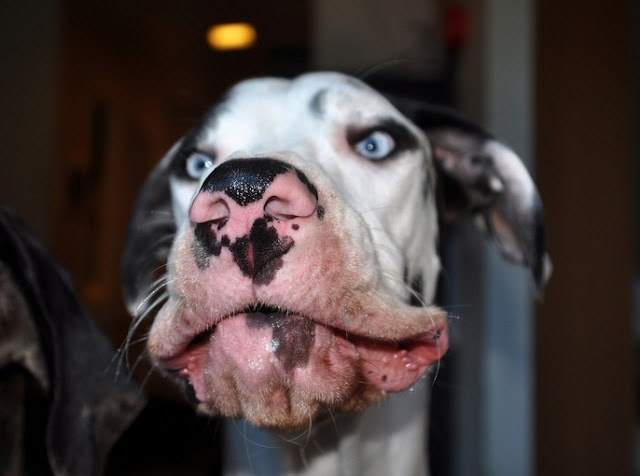 Krista Aalto, from Piikkiö in Finland, spent weeks capturing a series of images of her 18-month-old dog Mutka pulling bizarre faces. 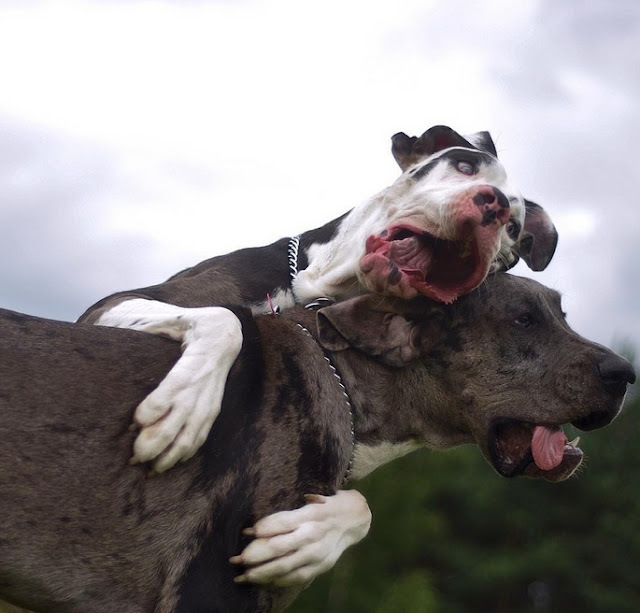 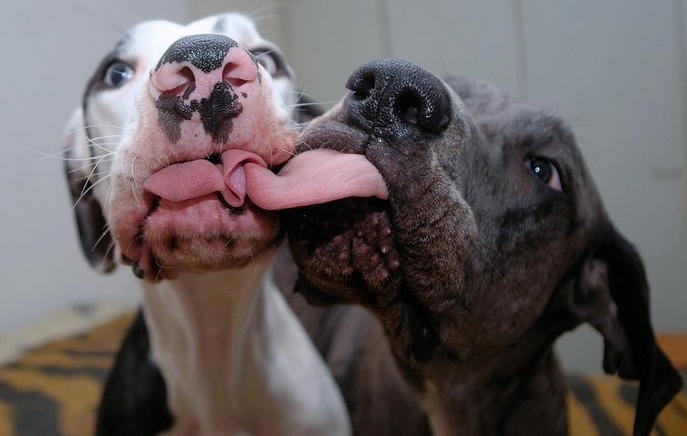 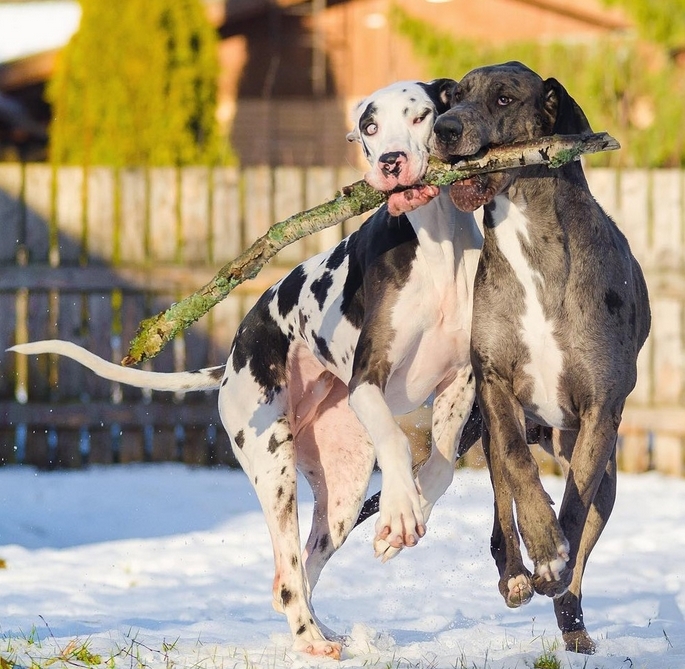 They include one of the giant animal licking his own eyeballs and another of him sucking his own bottom lip.The harlequin Great Dane lives with 29-year-old Krista and his half-sister Luna - who Krista says is much more serious. 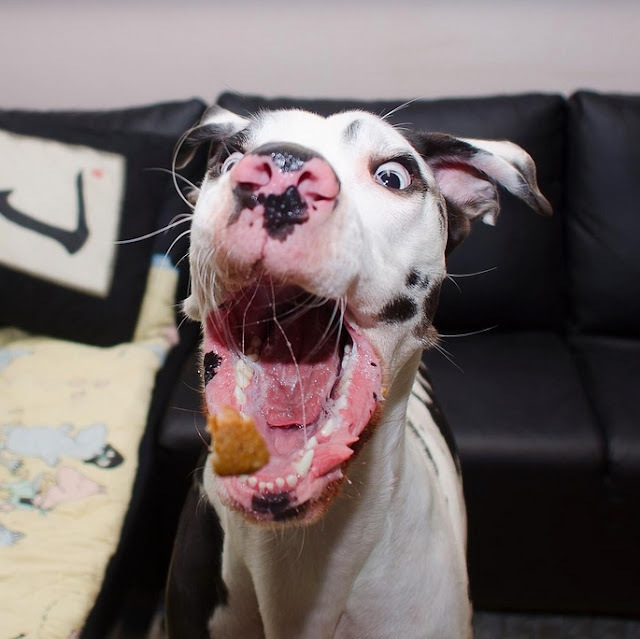 She said: 'I have had him since he was baby, he was eight weeks old when brought him home from the breeder and it was clear that he was special. 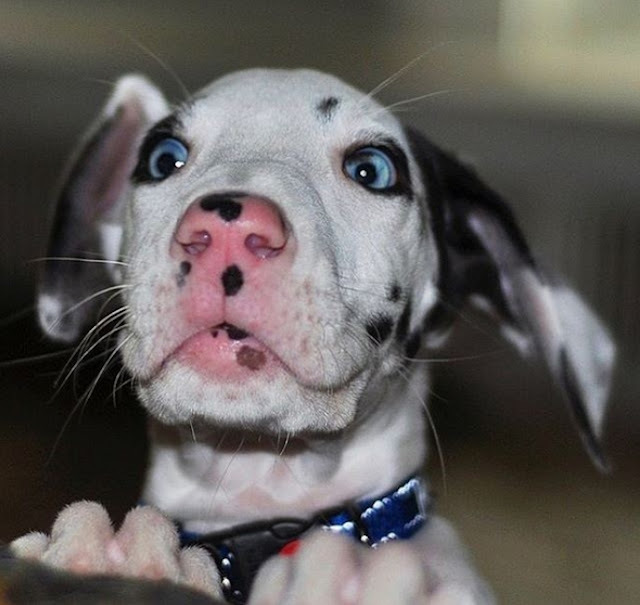 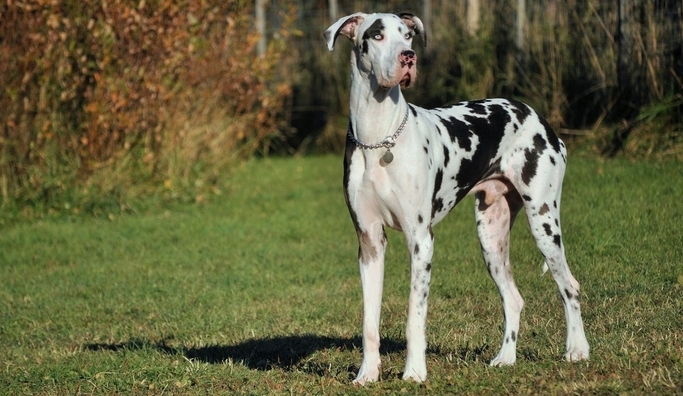 Many people mistake a growing juvenile harlequin Dane as a Dalmatian. 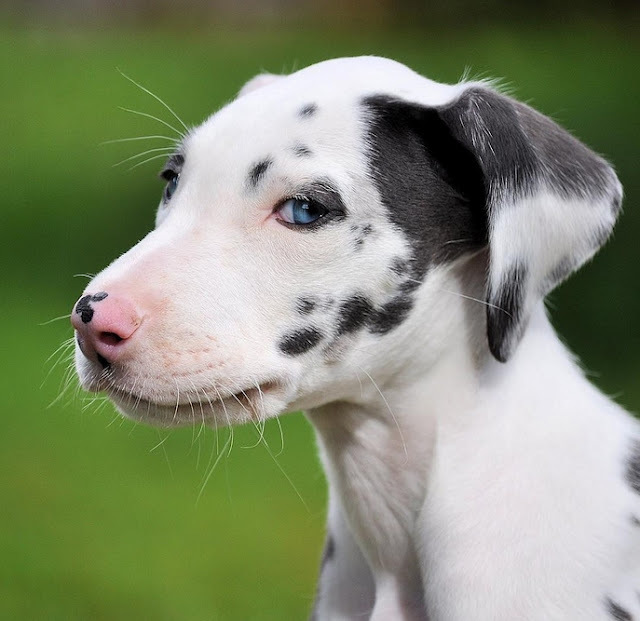 Although both breeds are white with black markings, the Dalmatian has spots. 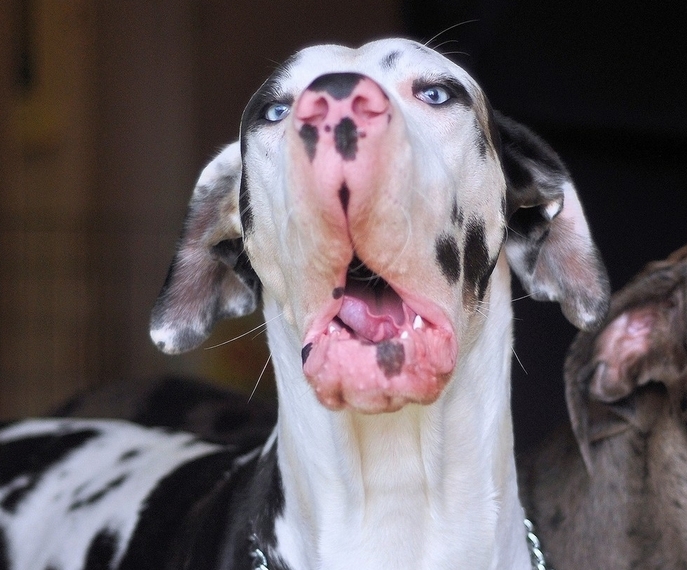 A Harlequin Dane's "torn patches" differ from the smooth rounded spots of the Dalmatian. 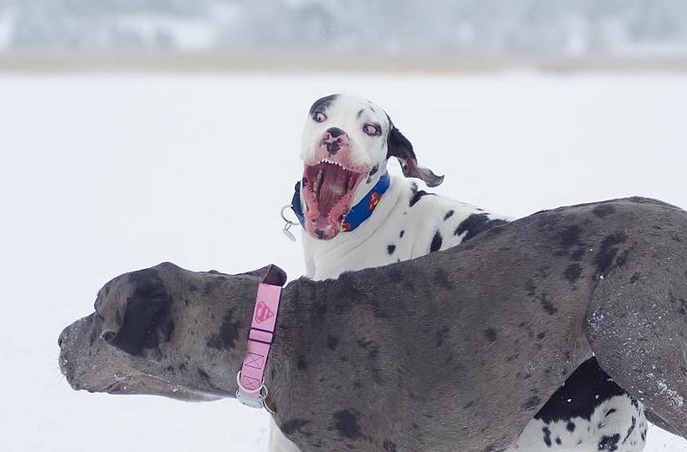 Responses to "Finnish dog owner captures hilarious facial expressions of her loveable dog"